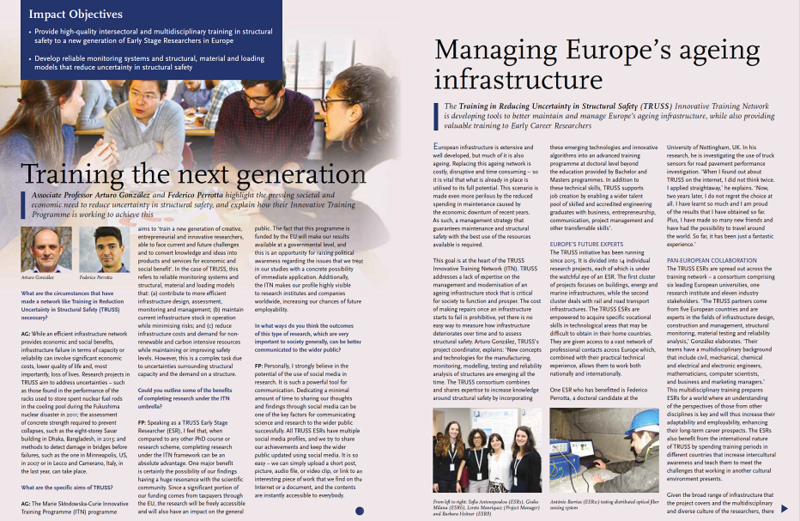 Science Impact Magazine (www.impact.pub) has published a 3-page article about TRUSS featuring interviews to Federico Perrota (ESR13) and Arturo Gonzalez (coordinator) in the 2018 March issue. 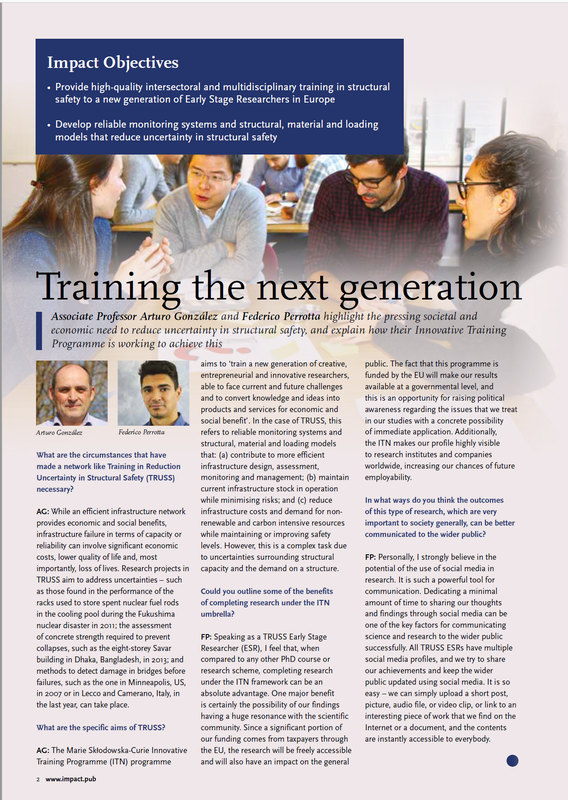 The latter features content from world’s leading research agencies, policy groups, universities and research projects with an editorial focus on ETN’s / ITN’s within materials research, highlighting training and development of ESR’s, and the current and future challenges being faced. 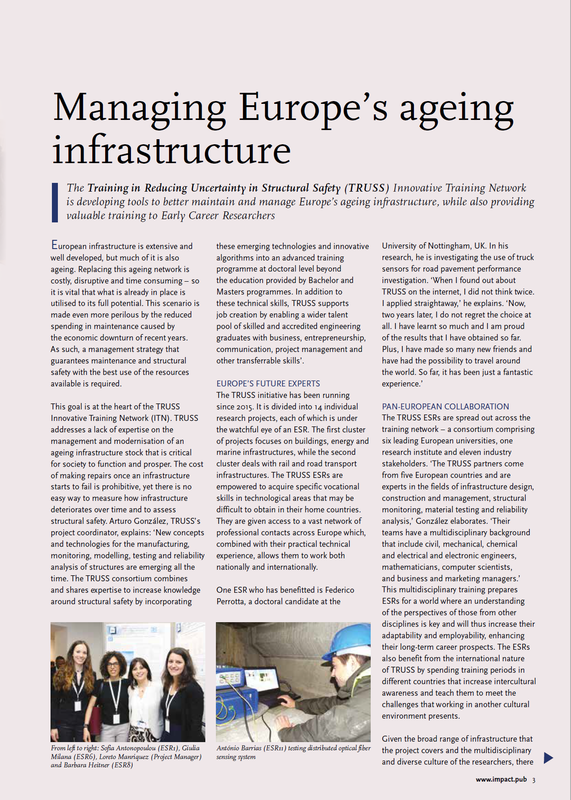 The article helps TRUSS to communicate the objectives and work of the project in a more easily understandable and accessible language to a wider audience of stakeholders, enabling widespread dissemination. 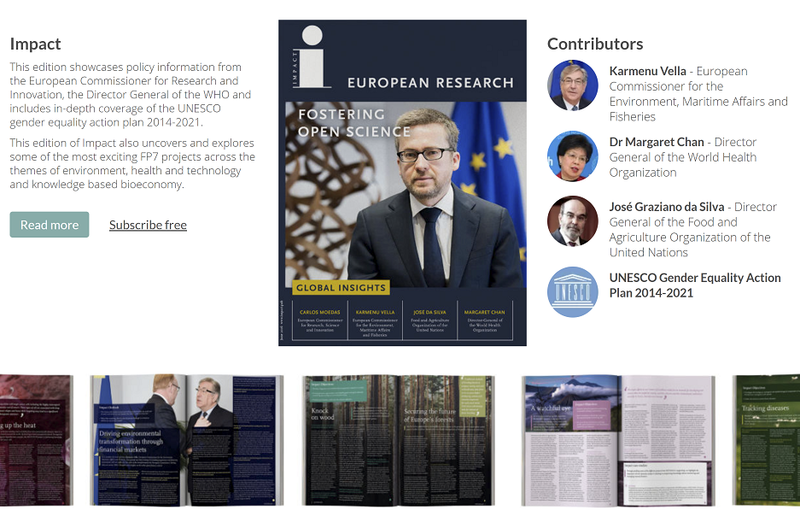 To 35000 stakeholder readers worldwide including targeted key stakeholders related to TRUSS research area within Universities, research institutes, European, national and regional funding agencies, policy, NGOs, government, authorities and public and private sectors. Through IngentaConnect at http://www.ingentaconnect.com/content/sil/impact/2018/00002018/00000001/art00021, the world’s largest platform for scholarly information, used by 1.5 million visitors a month and with 30’000 institute libraries registered. Each article is hosted on Ingentaconnect.com open access as well as seeded to Google Scholar, EBSCO Discovery, Primo Central, Worldcat and Summon. The article has a reliable, persistent link in the form of a CrossRef DOI at https://doi.org/10.21820/23987073.2018.64, is indexed in all major search platforms including Google Scholar and is deposited in Portico. 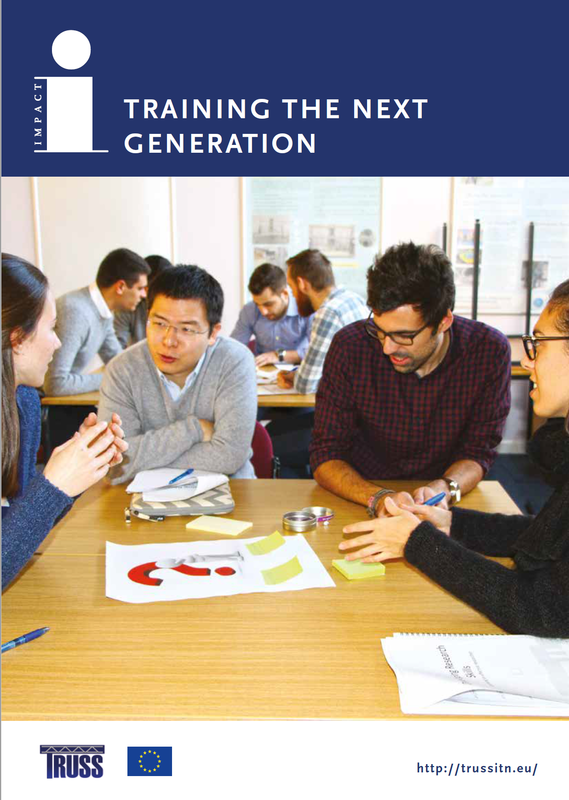 Selected research and industry events (i.e., next TRUSS workshop). A list of targetted partners. Below, you can view the article and flip through each page by clicking the arrows and zoom into a page by hovering over the image. It can also be downloaded in pdf format. 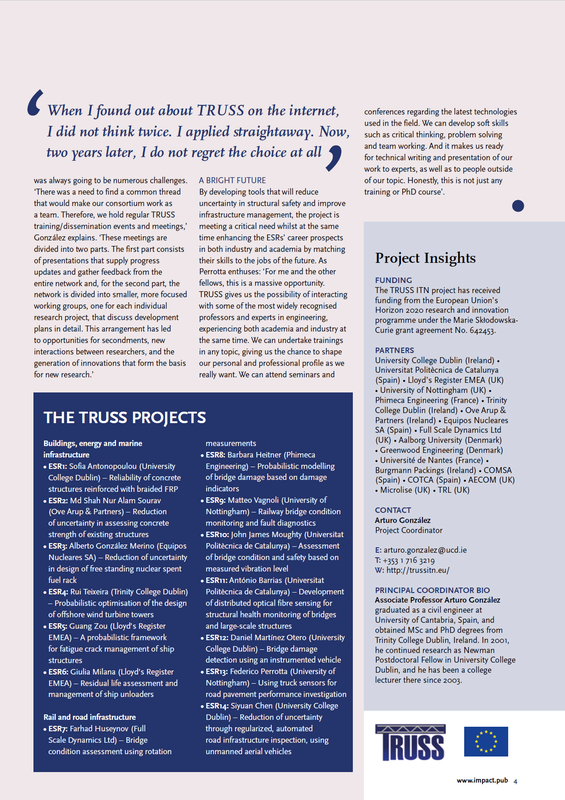 Institutions who have received TRUSS article as part of the Impact publication include European Commission, DG Agri, DG Climate Action, DG DEVCO, DG Energy, DG Environment, DG Maritime & Fisheries, DG Research & Innovation, DG SANTE; Joint Research Centre; EU Central Library; EU National Contact Points• European and international groups (WHO, EEA, IPCC, EUREC, IEE); National and regional government; Ministry of Education; Ministry of Research; Ministry of Science; European Technology Platforms – Manufuture, SmartGrids, Biofuels, EU PV TP, ENIAC, PHOTONICS 21; European Funding Agencies – Marie Curie, INTERREG IVC, LIFE+, Cost, ERC, ESF, ERDF, Eureka; National Funding Agencies – BBSRC, NERC, ANR, CNRS, ADEME, DFG, NWO, RCN, FORMAS, CNR, NHMRC, NSF, NIH, CIHR; International Research facilities – CERN, Fraunhoffer, CEA, Max Planck, Helmholtz, SETI, Sintef, Lawrence Berkeley National Laboratory, Chinese Academy of Sciences, TNO; Centres of Excellence; Research Agencies; Industrial groups; Municipalities; Town Councils; Universities; Colleges and Training Schools. A list indicative of job titles of the individuals and groups that have received the TRUSS article is made of architects, consultants, contractors, environmentalists, electricians, energy assessors, engineers, facility managers, site managers, sustainability managers and town planners.